Less than a month before he was sworn-in as America's 32nd President, Franklin Delano Roosevelt was visiting Miami. A man named Giuseppe ("Joe") Zangara fired five shots in an attempted assassination of the President-Elect. Lillian Cross, a woman who was near Zangara at the time he fired his .32 revolver, said she grabbed the gunman's arm which likely caused the shooter to miss his intended target. Thomas Armour, also at the scene, made the same claim. Lillian Cross was believed by many to have grossly exaggerated her claim and received all the praise and honor that was really due the reticent and soft-spoken carpenter. Despite the attempted intervention, five people received gunshot wounds. (The Secret Service claims that a sixth person was also hit ... an agent who, although grazed by a bullet on his hand, did not report the minor wound at the time). Of those individuals, Chicago Mayor Anton Cermak was the most seriously injured. Although FDR's driver was immediately ordered to leave Bayfront Park, where the shooting occurred, Roosevelt refused to go. Wanting to help his friend, FDR cradled Cermak's head on his shoulder all the way to the hospital, encouraging him not to move and to remain quiet. Doctors later said that FDR's actions likely kept Cermak from going into shock. Roosevelt remained at the hospital four hours, trying to be a continuing source of encouragement to Cermak. His actions in the face of an attempt on his life were closely watched and reported-on. Seventeen days later, FDR delivered his first inaugural address, reminding Americans that they had "nothing to fear but fear itself." The people around FDR were watching him to see how this man who was about to lead a troubled nation would react to the attempt on his life. That February evening [the day of the shooting] he was still an unknown quantity. In the immediate aftermath of the assassination attempt, virtually every word and action of the president-elect was reported to the nation ... Was he frightened? Nervous? Relieved that he had escaped unhurt? Was he rattled or petulant? He was none of those things. He appeared unfazed, calm, deliberate, cheerful - throughout the shooting itself as well as during its aftermath. He visited the victims that night and returned to the hospital the next day with flowers, cards, and baskets of fruit. FDR had met his first test under fire, and he'd impressed not only his associates, but the press and the nation. It was on this note of personal courage, graciousness, and self-confidence that he was to assume the reins of government seventeen days later. ... The mayor would have recovered from the bullet wound had it not been for the complication of colitis. The autopsy disclosed the wound had healed ... the other complications were not directly due to the bullet wound. Although the assassination attempt on FDR's life is not talked about much today, it was a defining moment in his career as America's President. If he could remain calm in the face of personal trauma, perhaps FDR could help his country get through the Great Depression. As for Zangara ... justice was unbelievably swift. He'd fired his shots on February 15, 1933. By March 20th - the following month - he was dead. In between he'd been through a trial, refused an appeal and was electrocuted in Florida. This historic footage includes an interview of Zangara by Raymond Moley. Writer of most of FDR’s first inaugural - except, reportedly, for the famous line about "fear itself" - Moley eventually came to believe that FDR's policies were wrong. Dr. John F. McHugh - a noted Roosevelt historian and collector of FDR archival materials - tells the story which incorporates historical footage. The clip includes an interview with Lillian Cross. In his interview with Moley, Zangara seems to confess that he wanted to shoot the President-Elect because he doesn’t like national leaders. Zangara apparently had no problem with FDR as an individual; he just didn’t want him to become president. Blaise Picchi, author of The Five Weeks of Giuseppe Zangara: The Man Who Would Assassinate FDR, has graciously provided information to amplify (or correct) what is contained in this video clip. Hereafter are his comments. 1. Both witnesses at the scene and Zangara himself denied that Lillian Cross did anything but shake the seat on which they were both standing. While the media at the time thought it a better story that the librarian-looking Cross saved the president-elect's life, in reality (as the book explains) a local carpenter by the name of Thomas Armour actually grabbed Zangara's arm, together with another bystander, and prevented him from aiming ---- but only after he had fired the first shot free, clear and unobstructed --- but missed. 3. Dr. McHugh is wrong when he says that Zangara was sentenced to 80 years for the attempted "assassination" of Cermak. He pled guilty and was sentenced to 4 consecutive 20 year terms for the attempted murder of the 4 other victims of the shooting, but not Cermak. Cermak's fate was still in the balance at the time of the first sentencing. 4. McHugh says immediately upon the death of Cermak the judge "decreed" that instead of 80 years Zangara should die. Not true. Zangara was indicted by a grand jury, brought before the court and charged with the first degree murder of Cermak (remember, he hadn't been charged with wounding Cermak in the first sentencing.). Zangara pled guilty but the judge could not sentence him to death just on his plea so there was a modern-style bifurcated sentencing hearing before a jury of 12. Witnesses were presented and evidence introduced. Lawyers argued and a jury deliberated. There was no "immediate decree" by the judge. 5. The still-shot of the video clip, which appears on the page before the video begins to run, depicts a photo of a man in the hospital. That individual is not Cermak. It’s former NYPD officer and sometime gubernatorial guard to FDR, Bill Sinnot, one of those wounded by a bullet to his forehead. He was far enough away that the bullet did not penetrate. 6. Ulcerative colitis had nothing to do with Cermak's death. By today's standards, the Cermak doctors committed malpractice. Of course today's standards are not those of 1933, but in any event the doctors made mistakes, and they knew it. They all signed the same affidavit claiming that Cermak died of ulcerative colitis exacerbated by a bullet. If you read my book you will find that the prosecutor never introduced the autopsy. It would have shown that the doctors were not telling the truth. Cermak died of complications caused by the bullet but not colitis. The bullet did internal damage to Cermak's liver or diaphragm causing a subpherenic abscess to develop. Had the doctors opened Cermak up and removed the bullet and repaired the damage it had caused, he probably would have survived. At least so say my experts who reviewed the evidence for the book. As one expert said, "bullets don't cause colitis." My book, for the first time in history, discovers and exposes the doctors' deception. (After all, their reputations were at stake at the time. Some went on to lead distinguished careers.) Furthermore, there is circumstantial evidence that the prosecutor knew the truth. It also highlights the incompetence of the two of the three lawyers appointed to represent Zangara. It probably wouldn't have made any difference to the jury that the doctors did this. Zangara did kill Cermak. 7. Finally, I wish people would get straight what Zangara was up to. I thought I made it clear in the book. He was committing suicide. I discovered that he bought the gun just before anyone knew FDR was coming to town. A fact that the authorities at the time never picked up on. He bought the gun to kill himself. The irony of it all is that the system gave him exactly what he wanted and never figured it out -- until my book, and people still don't get it. He more or less made up the story about killing presidents and kings because he knew that if he told the truth he might not get what he wanted. He expected to have been gunned down at the shooting and was surprised to find himself still alive after. He said so. Clip with Dr. John McHugh explaining historical footage and other materials from his FDR collection, online courtesy U.S. National Archives via its YouTube Channel. 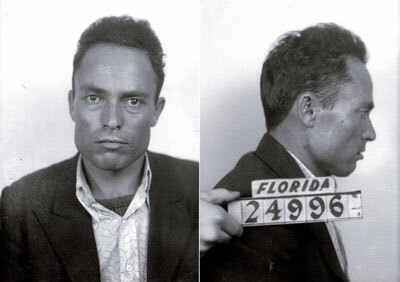 UPDATE provided by Blaise Picchi, author of "The Five Weeks of Giuseppe Zangara: The Man Who Would Assassinate FDR." Bos, Carole "Attempted Assassination of FDR" AwesomeStories.com. Jul 17, 2013. Apr 21, 2019.